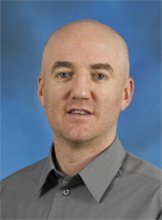 Dr. Michael Blackhurst is a Research Scientist and Professional Engineer (licensed in Texas) at the Center for Social and Urban Research at the University of Pittsburgh. Dr. Blackhurst oversees applied and basic research and consulting projects in the energy, water, and climate sectors. His record demonstrates strong leadership in developing robust, data-driven decision-support resources for public and private sector clients. Current research and consulting domains include energy and water efficiency, renewable energy, regional climate change mitigation and adaptation, regional water resource planning, and urban stormwater management. His work has been profiled in the New York Times and National Geographic. Wood A, Blackhurst MF, Garland JL, Lawler DF. “Incentivizing Decentralized Sanitation: The Role of Discount Rates.” Environmental Science & Technology 50, no. 12 (June 21, 2016): 6146–53. doi:10.1021/acs.est.6b00385. Berhanu B, Blackhurst MF, Kirisits MJ, Jaramillo P, Carlson D. “Feasibility of Water Efficiency and Reuse Technologies, Demand-Side Strategies for Urban Water Management.” Journal of Industrial Ecology. Publication Pending. Torres PT Blackhurst MF, and Nour Bouhou. “Cross Comparison of Empirical and Simulated Models for Calculating Residential Electricity Consumption.” Energy and Buildings, 2015. Tamayao MM, Blackhurst MF, and Matthews HS. “Do US Metropolitan Core Counties Have Lower Scope 1 and 2 CO2 Emissions than Less Urbanized Counties?” Environmental Research Letters 9, no. 10 (October 1, 2014): 104011. doi:10.1088/1748-9326/9/10/104011. Sanders, Kelly T., Michael F. Blackhurst, Carey W. King, and Michael E. Webber. “The Impact of Water Use Fees on Dispatching and Water Requirements for Water-Cooled Power Plants in Texas.” Environmental Science & Technology 48, no. 12 (June 17, 2014): 7128–34. doi:10.1021/es500469q. Bouhou N, Blackhurst MF, and Torres P. “An Empirical Analysis of Joint Residential Electricity Efficiency Gains within and across End Uses: Implications for Demand-Side Management.” Ecological Economics 110 (February 2015): 61–70. doi:10.1016/j.ecolecon.2014.12.011. Ghosh NK and Blackhurst MF. “Energy Savings and the Rebound Effect with Multiple Energy Services and Efficiency Correlation.” Ecological Economics 105 (September 2014): 55–66. doi:10.1016/j.ecolecon.2014.05.002. Blackhurst MF, Azevedo IL, Matthews HS, Hendrickson CT. 2011. “Designing building energy efficiency programs for greenhouse gas reductions.” Energy Policy. 39(9), pp 5269-5279. Blackhurst MF, Matthews HS, Sharrard AL, Hendrickson CT, Azevedo IL. 2011. “Preparing US community greenhouse gas inventories for climate action plans.” Environmental Research Letters, 6(3), pp 034003. Hoesly R, Blackhurst MF, et al. 2012. 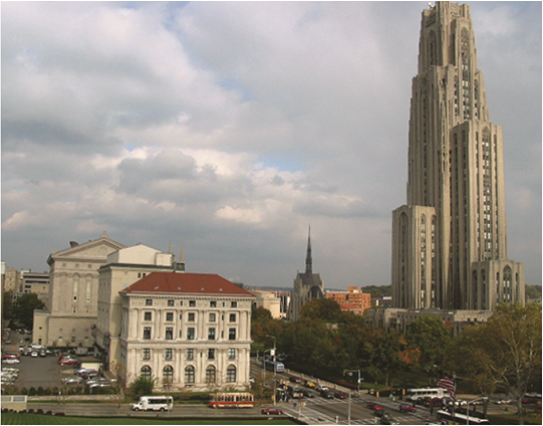 “Historical Footprinting and Implications for Sustainability Planning: A Case Study of the Pittsburgh Region.” Environ. Science and Technology. 46 (8) 4283-4290.